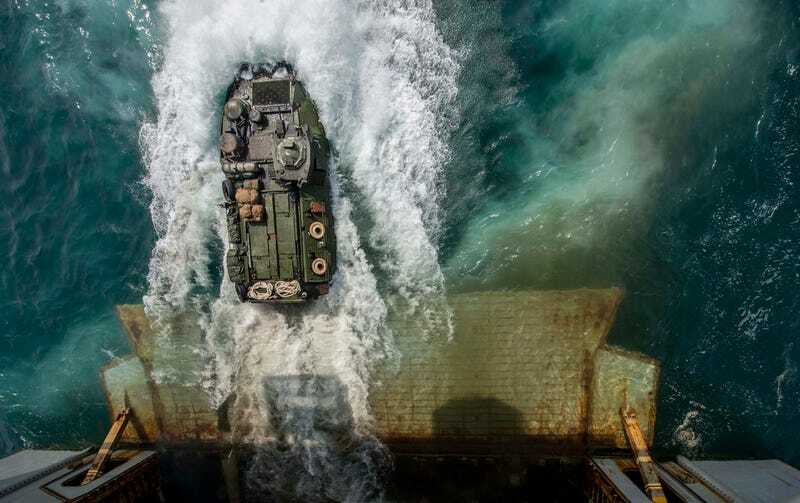 Cool US Navy photo of an amphibious assault vehicle being launched from the the USS Bataan. If the Battlestar Galactica were an earthbound aircraft carrier, this photo would be equivalent of a Raptor launching from one of its belly. Picture by Mass Communication Specialist 1st Class RJ Stratchko.